Starting April 8th Brassworks will begin the 2nd phase of a project to install a 27 kilowatt solar array system on our 2 buildings. 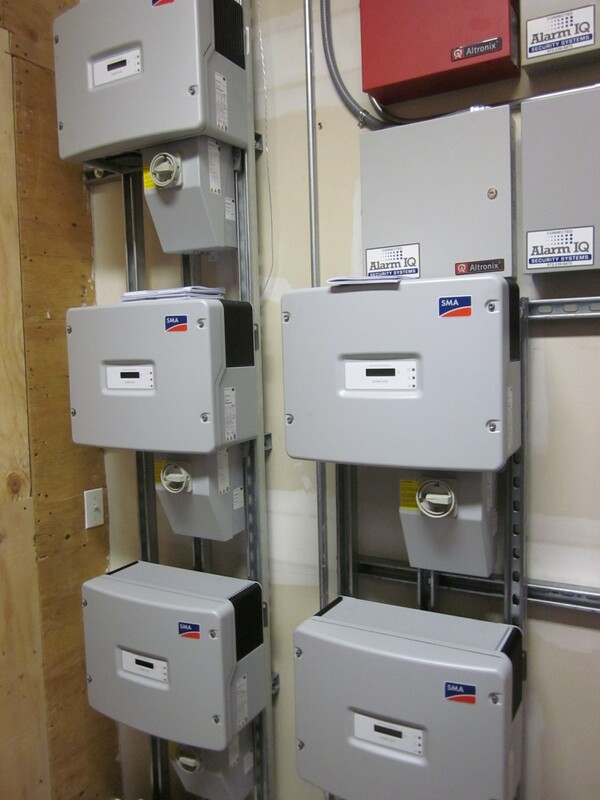 The first phase was completed at the end of last year which consisted of the installation of inverters in the electrical room (pictured above). These inverters turn direct current which will be produced by the panels into alternating current. The second phase will consist of installing solar panels on the older 1930’s one story building and the 3rd phase will consist of installing lightweight solar film on the 2 story building.